For the past few years, fall has signaled recovery season for me. I have run long races in September, and I use the rest of the month and into October to rest and recover (my body and my brain). When I do run, it is often on the road. I go out for shorter runs and like the ease of heading straight out my door versus driving to a trail. This year I have been doing these runs in the new Vazee Pace shoes from New Balance. 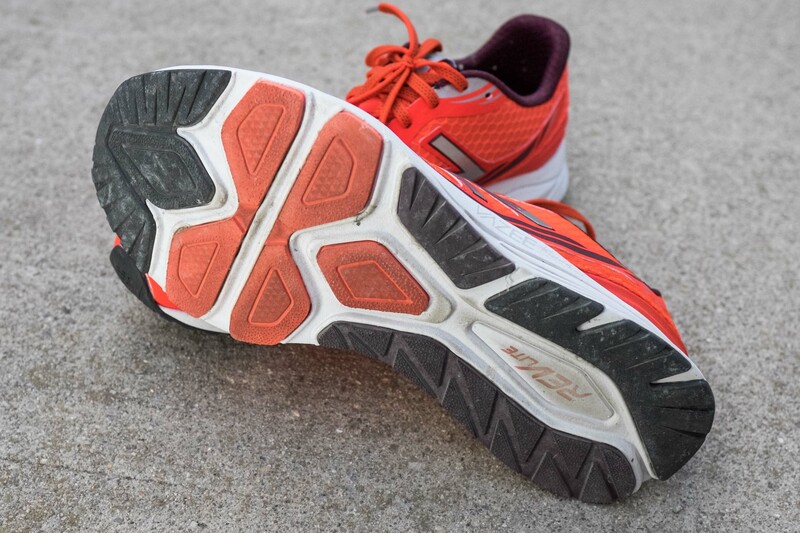 Although New Balance has been in the running shoe market forever, they have a new hashtag #alwaysinbeta and these shoes are a good example of this constant innovation inherent in their longevity. The good thing is that this innovation seems to complement the proven favourites that many runners depend on, rather than replacing current models. 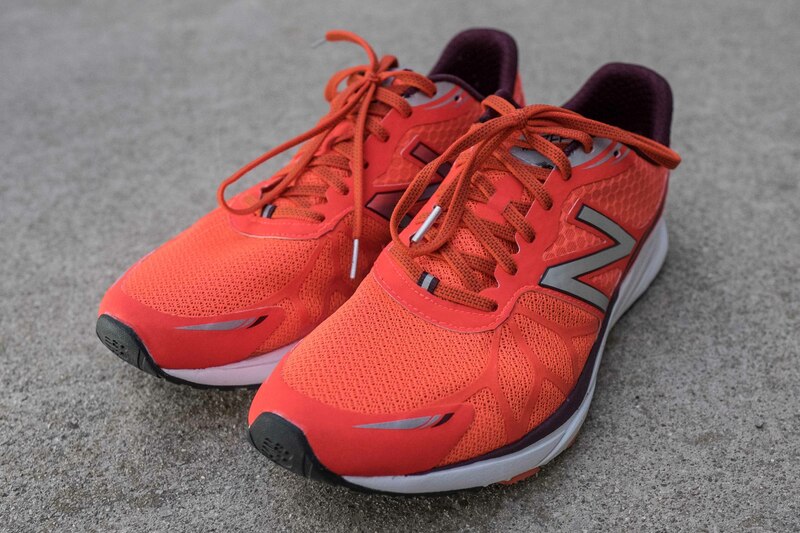 The Vazee Pace shoes are the lighter, hi-performance model in the Vazee lineup. I found them to be a snappy, quick shoe but with enough cushion and robust construction for piling on the kilometres. They feel and fit like a traditional road running shoe – no gimmicks here. 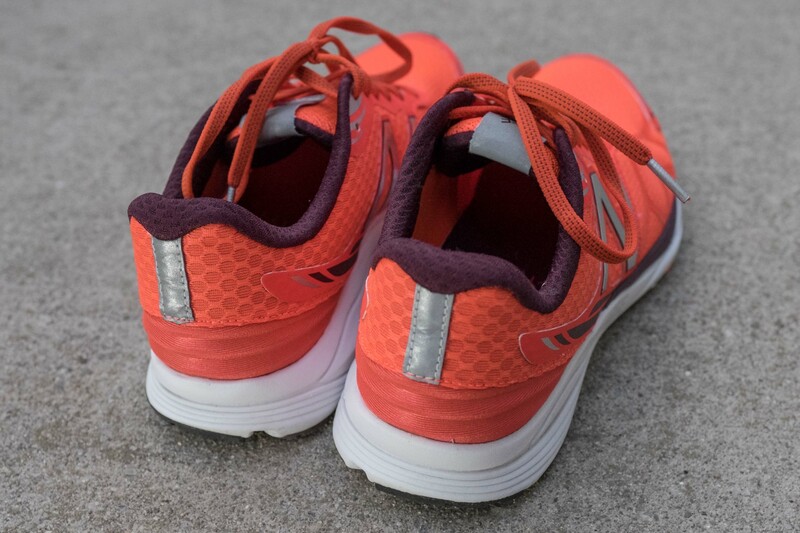 The toe box feels like an average size and the cushioning is adequate and firm without being over the top. They have very little stitching with a lot of laminated construction on the upper. The Vazee Pace shoes have just enough cushion to temper the pounding that comes with road running, and the REVlite foam is stiff enough to not feel squishy. The outsole has a significant amount of rubber in separated pods, which gives a sense that this is definitely a durable shoe that can stand up to training. I won’t say I’ve run in them long enough to even prematurely wear them down, but the ample coverage from heel to toe has shown a normal wear pattern to date. Even if you heel strike, or roll inwards/outwards, the rubber is there to keep these shoes going. The uppers on the Vazee Pace are really great. On the outside they are durable where they need to be, and light and airy where they can be. These shoes have lots of reflective material which I really appreciate during the extended darkness this time of year. The inner of this shoe is super simple, as it should be. There is a nice liner integrated with the tongue and very few seams. This all adds up to a comfortable fit, with no rub points. 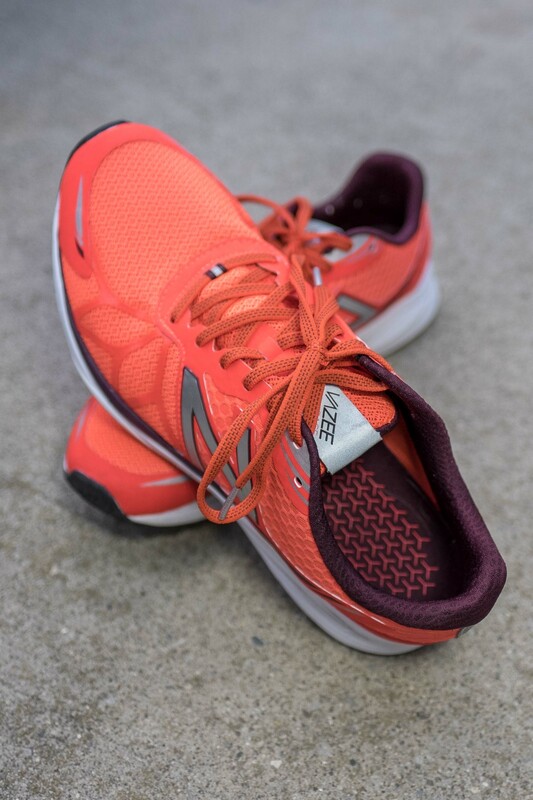 The toe box is average size – I have an average foot width, and the Vazee Pace hugged my forefoot just the way I like. It wasn’t too tight, but also didn’t feel like my feet had room to flop around inside. Based on the shoe size I normally wear, the sizing of the Vazee Pace shoes was accurate. I truly have nothing in terms of constructive criticism to offer New Balance for the Vazee Pace shoes. They are just what I look for in a road training shoe. They are quick – I would have no problem jumping in a road race in these shoes. They also seem very durable, which maintaining a light weight feeling. I am looking forward to many more fall runs in these shoes.